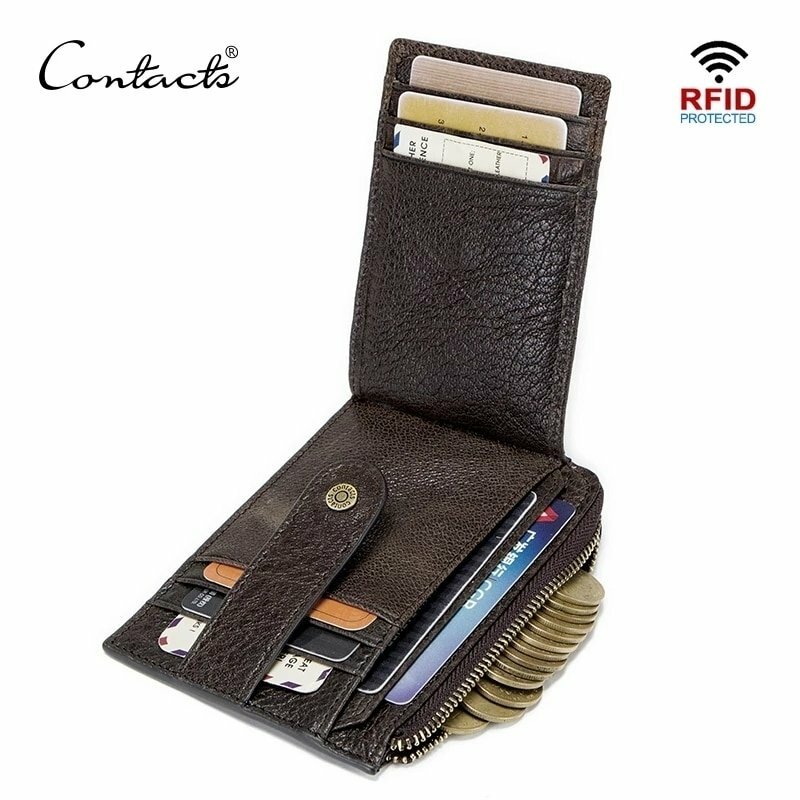 ▶️Credit Card Coin Purse is made of soft, durable real Cowhide Leather and Lining is Polyester and RFD cloth. Men's Leather Card Case Wallet is perfect holiday gift. ▶️Size: 4.75"x3.3" inches; Ultimate thin and light is to bring the ultimate experience. Lightweight and Compact Design for Front or Back Pocket Wear. ▶️Ultra Slim hold business cards, credit cards, debit cards, driver’s license, ID cards, D badge, other identifications. cards, credit cards, debit cards, driver’s license, ID cards, D badge, other identifications. We can customize Laser engraving words or simple picture. If you need, please message us. Thanks!